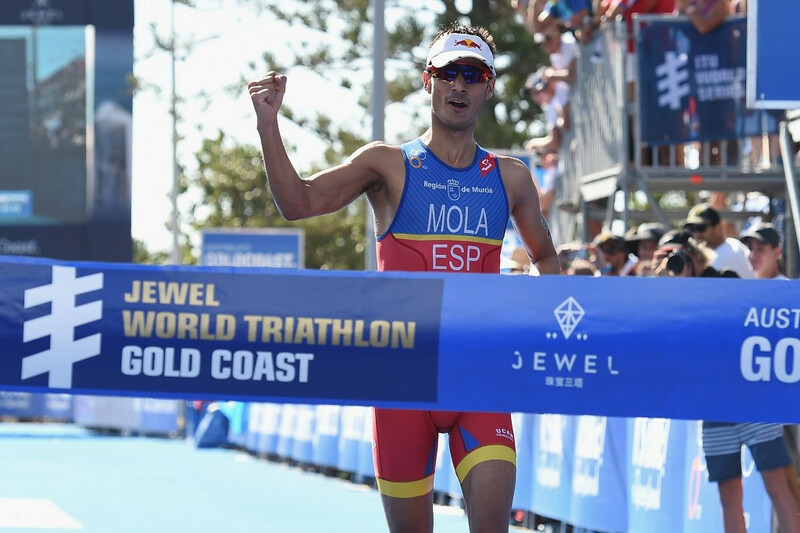 Spain’s Mario Mola preserved his undefeated record in this year’s World Triathlon Series (WTS) after defying hot and humid conditions to win the Gold Coast leg today. Mola kept himself among the frontrunners from start to finish and showcased his signature running speed in the final 2.5 kilometres to leave Great Britain’s Jonathan Brownlee and fellow Spaniard Fernando Alarza in his wake. The 26-year-old's time of 1 hour 46min 28sec ensured him a second WTS victory of the season and third-straight win after also taking gold at the International Triathlon Union World Cup in Mooloolaba, Australia. Ireland’s Ben Shaw and Britain’s Tom Bishop entered the second transition zone together with a slight advantage, but it wasn’t long before Mola and Brownlee charged out of the transition gate to overtake them. The leading pair stayed together for the first three laps of the run, conjuring up memories of when the two raced together at the 2009 Junior World Championships in the Gold Coast. However, as he did in that race, Mola stepped up a gear in the final lap and bypassed Brownlee to cross the finish line in first place. Running past Brownlee in the final kilometre to earn the silver was Alarza as the London 2012 Olympic bronze medallist ended the day with bronze. "I felt great during the whole race," said Mola. "I tried to stay in the front as much as I could on the bike in order to make it a 10km run and I think things went well. Australia’s Ryan Bailie came fourth to secure his place on the Australian Olympic Team for Rio 2016. 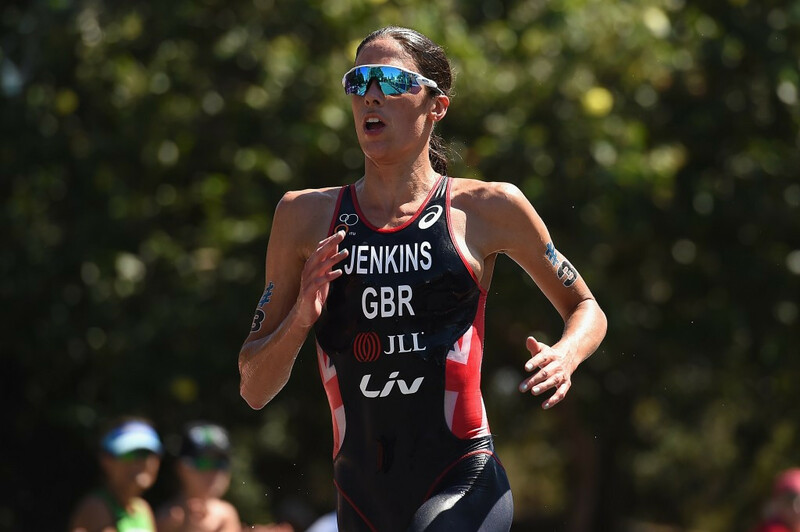 In the women’s race, Great Britain’s Helen Jenkins triumphed to return to the top of a WTS podium for the first time since May 2012, when she won in San Diego. Having found herself in joint-13th place following the swim, Jenkins made a break just after the halfway mark of the 40km bike leg along with Bermuda’s Flora Duffy and New Zealand’s Andrea Hewitt. The trio made the most of a technical bike course to take a healthy 90-second lead into the second transition, but it was Jenkins who pulled away at the front of the run to take the WTS win in a time of 1:56:03. Her success breaks the record of 12-consecutive WTS wins, held by American Gwen Jorgensen, who finished runner-up despite starting T2 almost two minutes behind the leaders. Jorgensen steamed ahead of Hewitt in the final few metres to claim silver with the Kiwi having to settle for bronze. 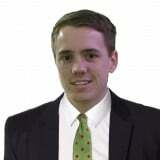 "I can’t quite believe it," said Jenkins, the two-time elite world champion who now leads the Columbia Threadneedle Rankings. "I did not have the best swim today and then on the bike, because it was so technical, it was just as hard even if you were at the front, so I sat in and me, Flora and Andrea were able to get a gap. "I have so much respect for those girls, they were smashing it today. "And I got to the run and just went for it. "But the whole time I was waiting for Gwen, you can never underestimate how quick Gwen’s running is." Australia’s Emma Moffatt finished in seventh place to secure herself the first women’s spot on the Australian Olympic Team for Rio 2016. Gold Coast will host an age-group triathlon tomorrow.